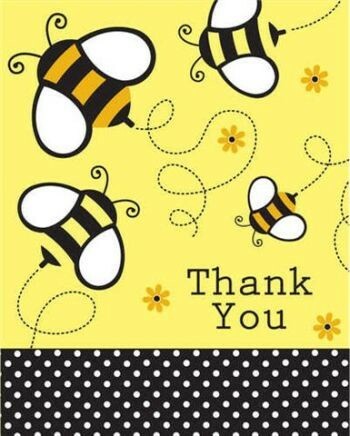 Buzzie Bee themed Thank You Cards & Envelopes. It is always a lovely gesture to thank your guests for celebrating Mum's Baby Shower party. Sold individually so you can order the exact number that you require.